Brown has until Tuesday to sign the bill, which would ban single-use plastic bags in large grocery stores beginning in July 2015. A year later, the ban would apply to smaller stores as well. More than 100 cities and counties, including San Luis Obispo County, already have plastic bag bans. The rules of those bans will remain in place even if the statewide ban takes effect. In a gubernatorial candidates’ debate earlier this month, Brown said he would probably sign the bill because the local bans have created a lot of confusion. “The grocers themselves said, ‘Let’s have one statewide ban that’s reasonable,’” Brown said. The proposed statewide ban would allow businesses to provide customers with paper or reusable plastic bags at a mandatory price of 10 cents a bag. The same regulation already exists in San Luis Obispo County. What about all of those little plastic bags full of dog poop left or forgotten on our beaches? We will conveniently collect them and drop them on your doorstep, for you to smilingly do your civic duty as an American ! Awesome! More intelligence oozing from our government morons. I am really beginning to wonder if the people will ever revolt. This is getting so stupid as to be unbelievable. The ‘people’ are already revolting. With one stroke of the pen he just saved the planet. Al Gore must be so proud. If you are banning plastic bags at the checkout, what about all the plastic bags in the produce and the meat sections, are they less harmful? I suppose the next regulation will be against the paper bags and their impact on the forest. Remember, that is what plastic bags to us in the first place. Just like the same people crying about the coming new ice age in the 70’s are the ones crying global warming today. The enviros are absolutely mentally unstable. Don’t forget about the flouridation of water and the loss of your precious bodily fluids, or the catastrophe of the demise of the incandescent light bulb. Or perhaps the dissappearance of buggy whips or steam locomotives is more your bag ? Try and find something that is not packaged by some sort of plastic. Just make it simple and ban all food that comes in any packaging! Plastic containers that have milk, juice, plastic bags that have rice, beans, and my all means do not forget the plastic containers that the Tofu comes in! 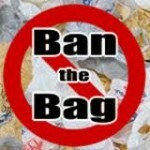 Get rid of clean, handy, safe, recyclable plastic bags – just wonderful. Nobody in Sacramento has the guts or nerve to stand up to these socalled environmentalist. Leftist don’t believe in choice, but they do believe in control. And the lemmings in the public buy it hook, line and sinker. You will obey and like it. Welcome to the new waste-of-time world of eco-police … and oh, I’m sure there’s more to come. In some cases, it could be Soylent Green. Be scared …be very scared !!!! Great job Governor Brown. Now people will buy single use 10ml plus trash bags for small trash cans and people will go out and buy single use pet poop bags. Now how does that save the environment. Someone else noted the issue on water bottles. How about a ban on single use dry cleaning bags, and etc? wineguyjc, pigsrule, achillesheal, Perspicacious……..welcome to Banofornia!